In spite of the delay here is the second interview! The GremlinsDuo consists of clarinetist Tim Fitzgerald and multi instrumentalist Jon Goodman. 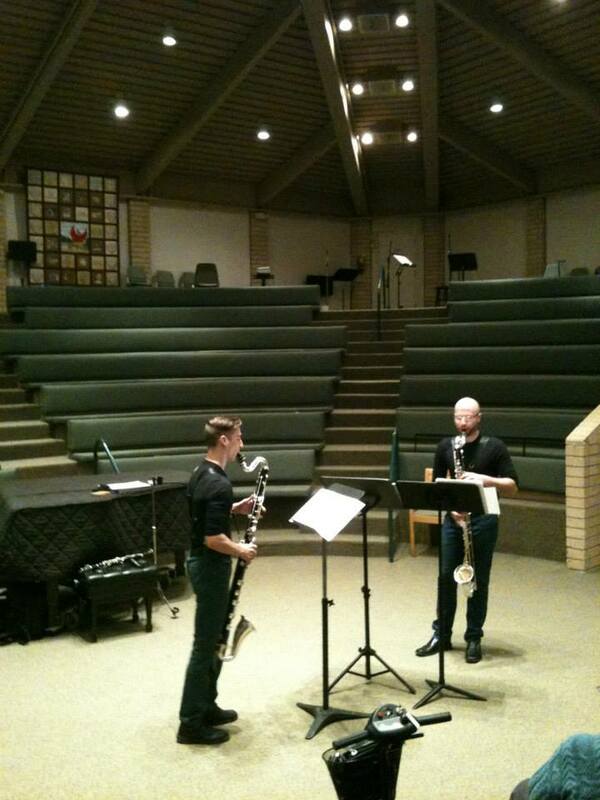 After developing a strong friendship at Southern Illinois University they formed the Gremlins duo to continue playing together and promote contemporary clarinet music. In this interview we discuss their upcoming tour as well as a variety of topics related to the clarinet and new music. Find out more about the gremlins duo here. This entry was posted in Clarinet, Podcast and tagged Gremlins, Jon Goodman, Tim Fitzgerald on January 26, 2014 by timcrumpsax2014. Hello World! This is the first interview for the Atlanta Creative Music Podcast. We’re still working out the technical kinks, so this page is very much still under construction. Olivia Kieffer is an Atlanta based percussionist, composer, and educator. She is the leader of the Clibber Jones Ensemble. In this interview Olivia talks about her history in Atlanta, her writing process, and how both rock and minimalist classical music have influenced her work. This entry was posted in Composer, Percussion, Podcast on January 8, 2014 by timcrumpsax2014.